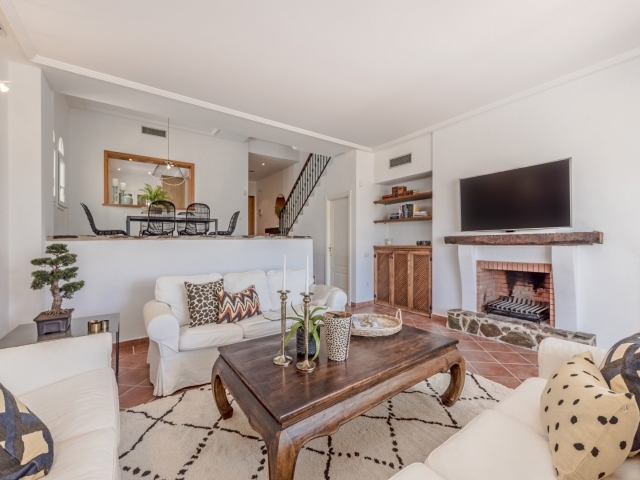 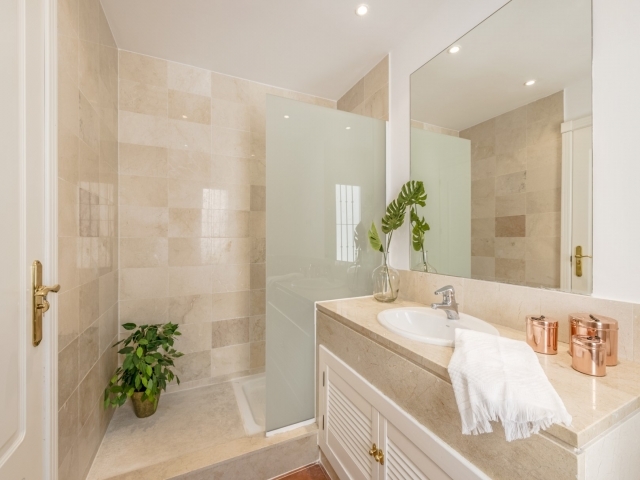 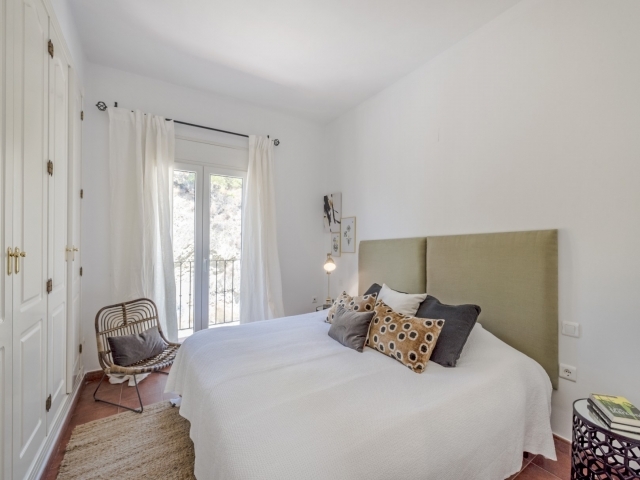 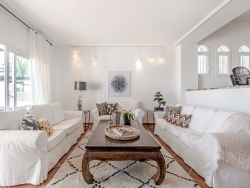 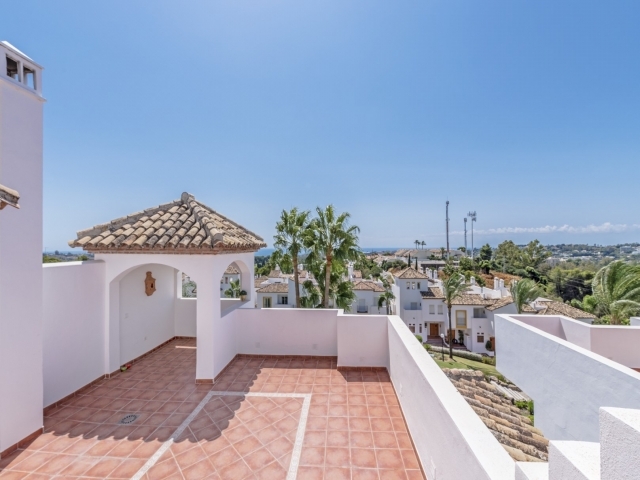 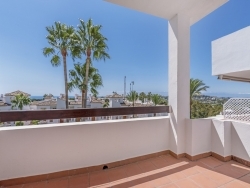 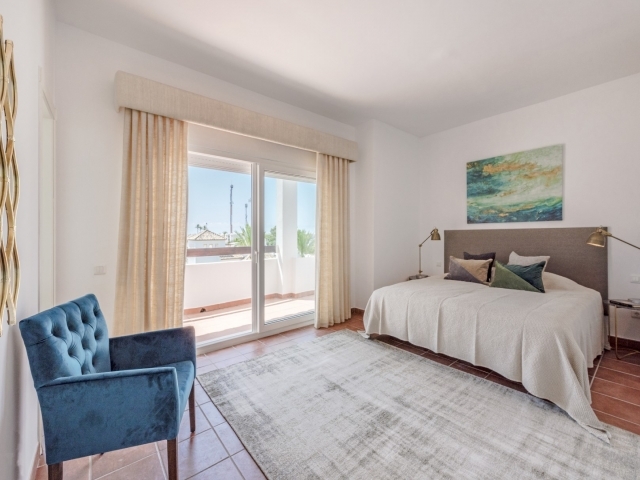 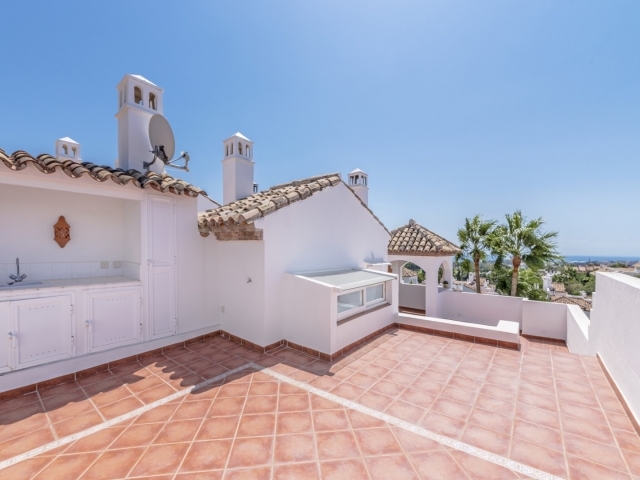 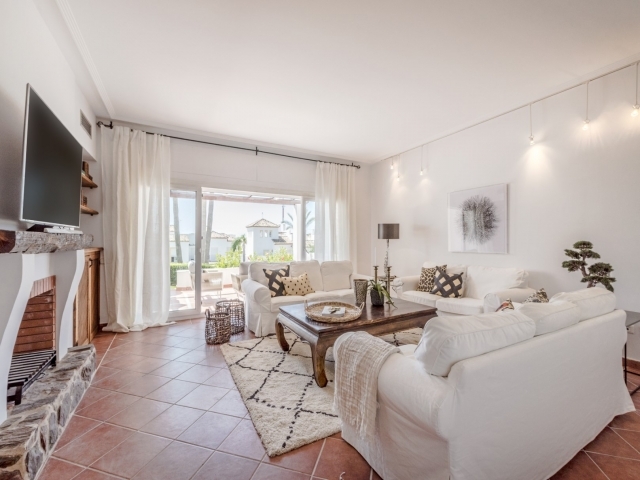 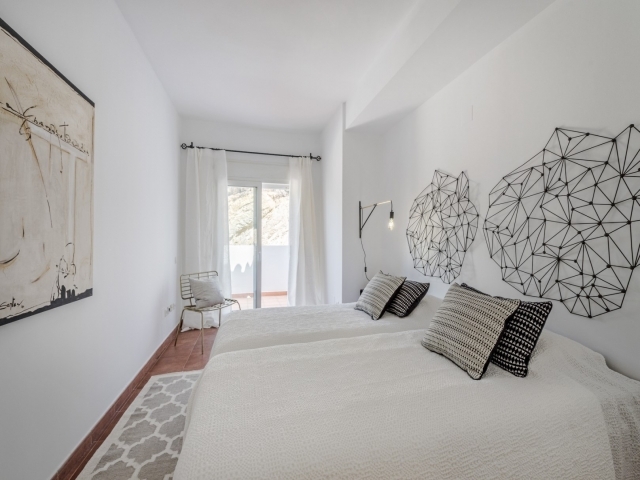 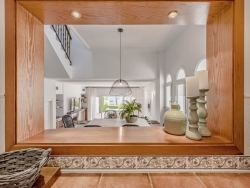 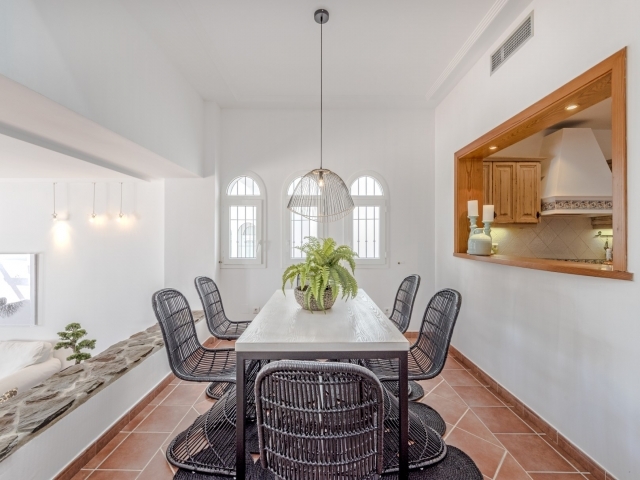 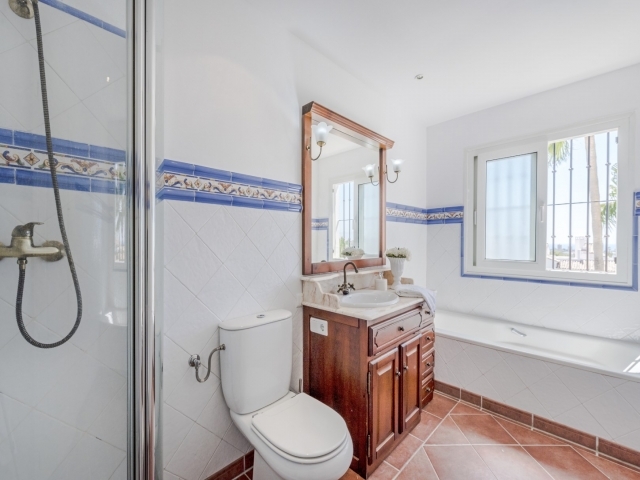 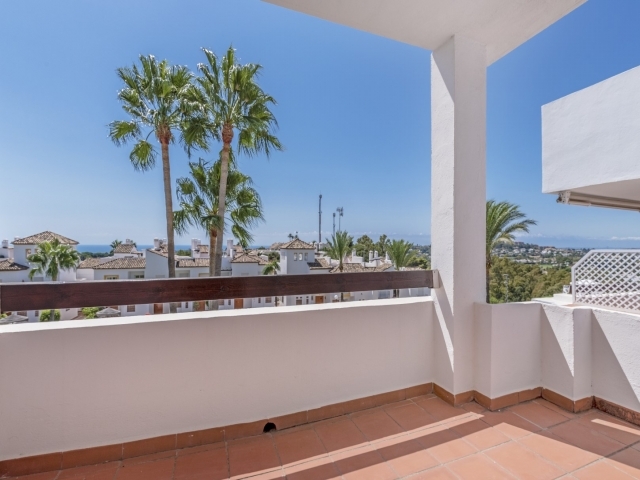 Spacious and well-presented three bedroom townhouse situated within a delightful residential complex in the heart of the Nueva Andalucia Golf Valley. 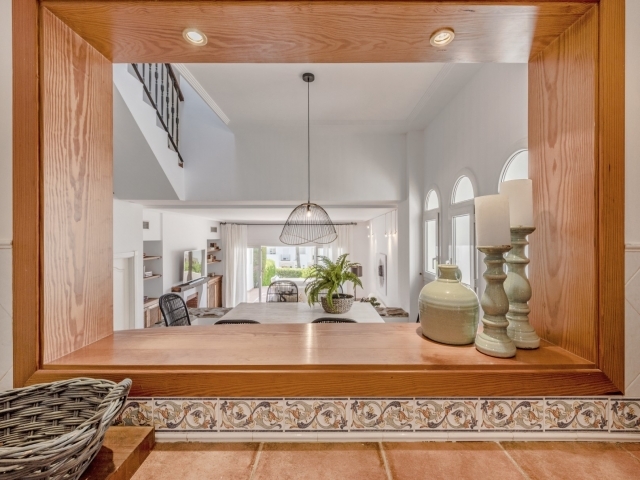 Located a few minutes away from three excellent golf courses in Aloha, Los Naranjos and Las Brisas, Last Green is also just a short drive to international schools, supermarkets, bars, restaurants and the beach. 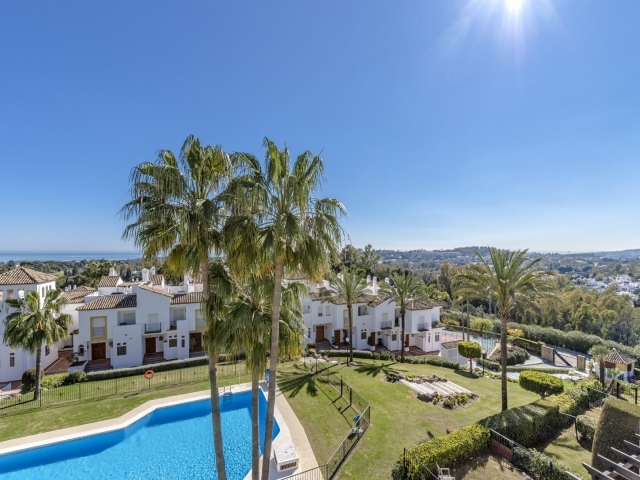 The complex itself boasts beautiful communal gardens, two large swimming pools and a tennis court. This corner unit offers versatile accommodation comprising an entrance hallway, split level living and dining room with open fireplace, kitchen and three bedrooms each with their own bathroom. There is also a large garage - with space for three to four cars - which can be accessed directly from the house. 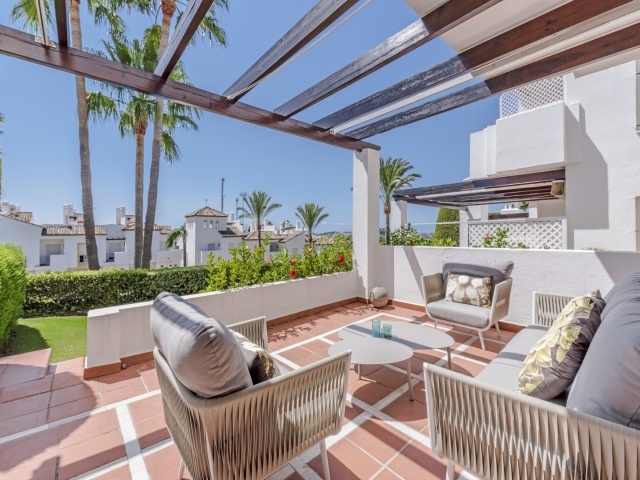 Externally there is a covered terrace and private garden at entrance level and a fabulous roof terrace providing spectacular sea views. 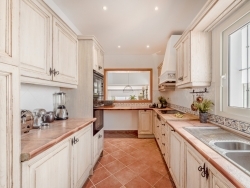 In immaculate condition, with an attractive traditional style, this is a beautiful family home that we highly recommend viewing to fully appreciate the charm and quality on offer.